FOOTAGE of two happy Hobbit fans getting overly excited while watching the latest trailer for Peter Jackson's trilogy has gone viral - and earned them some Hobbit fans of their own. 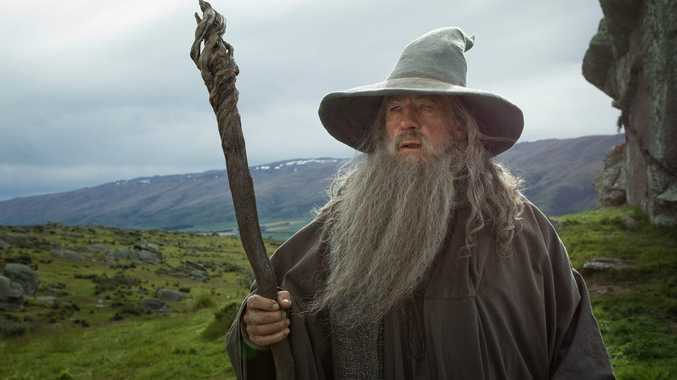 Jackson released the two-minute teaser trailer for The Hobbit: The Desolation of Smaug yesterday, and it showed several new characters as well as the first full look at Smaug the dragon. Two major Hobbit fans, sisters Kellie and Alex, filmed their hilarious reaction to the new trailer and posted it to YouTube - with the video garnering almost 20,000 hits and 784 "likes" within the first 24 hours. One of those hits was from Jackson himself, who posted the video on his Facebook page with the comment: "This is pretty cute - a video of two fans watching the live release of our new trailer. Check it out!" Three hours later he posted another message: "And here's what I guess you'd call a sequel to that fan video." He included a link to a video of Hobbit stars Orlando Bloom, Evangeline Lilly, and Lee Pace dressed in character and cracking up to Kellie and Alex's video on set. Kellie and Alex are major Hobbit fans, and run the YouTube series Happy Hobbits. At one point, they say they "cannot remember life before Lord of the Rings".